healow™ lets you communicate with your doctor’s office and access up to date medical records. You will be able to access your appointments, lab results, vitals, manage medications and other personal data all within one app. From the healow™ app you can manage multiple accounts and access your and your family’s medical information. Find a doctor and book your appointment - fast, free & easy, at your convenience – morning, noon or late at night! No more waiting on the phone with your doctor's office for an appointment. Find an appointment that works for you and book instantly – on the go! Set your goals and track them easily using trackers. Use our weight management & activity trackers to reach your fitness goals. Track your numbers regularly to watch the trends change and share your progress with your doctor. Stay motivated to make healthy choices. After the worst transition from a great physician for over 2 years , to what I would say was beyond INSULTING new estab appt w/a PA yesterday, that was time wasted. The PA 1st stating a well known ADD med “didn’t exist,”then she “can’t find my history w/ this rx that I’ve been on for 1.5yrs...ergo, not going to refill or even reduce milligram, if THAT were the true reason she denied to write for 1 refill of an rx taken daily. She refused an antibiotic for severe sinus infection, stating “insurance won’t cover “, yet I have filled it in past w/out a problem? I left after 2 hours, w/ no progress & no refills. An antidepressant & ADD med taken daily that I’ll be out of next week, leaving me lost.I changed immediately to a Dr linked with app, if they care for patients as well as app assists, I will rest easy. It seems they do, we shall see. I have a great feeling about the Drs I will be linked to. Thank you for a great app. 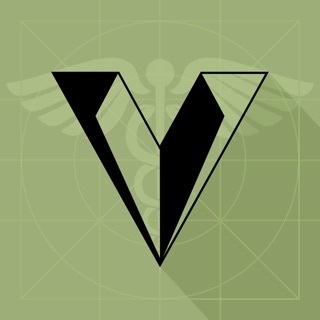 The best app, for the very best Doctor. I’ve seen my doctor going on over 10 year. The problems I have were so huge that it would overwhelm most doctors, not this doctor. He saved my life and I’ll always be happy and respect him, not only him as as a person, but I’ll always trust and respect his treatment and medication plans. Not only has the treatment he has given me works l, but I’m no longer the sick and dying person that I was going to be. This app shows all the meds I’m on, it shows so many things that makes me feel like my doctor is always an app away. So thank you, Healow, for letting me write this to show just a little of how I feel about my doctor and this app. I like the app but I wish that it were possible to reschedule an appointment on the app. It says that you can communicate with the medical care facility and I don’t actually see where this is actually possible. If it is it would be nice to clearly see this option because I have studied it as closely as I can and I have not found it actually possible to do so. And also it says that I can “change” the list of medications I am currently taking and I don’t really get that either. Anyway it may just be I’m not using it properly and if so then my bad 😊. I do love all of the staff at Thrive Alabama and I even decided against moving back to North Carolina because I won’t give up my relationships with all of the wonderful people there. I love you guys!